The government says there are no plans to implement a Vehicle End of Life (ELV) policy to eliminate old vehicles from the road, The Star reports. This was reiterated by transport minister Anthony Loke in response to a news report published by Nanyang Siang Pau, which said there were plans to reintroduce plans for the policy by the second quarter of this year. “That is fake news. There are no ELV policies for now. As I already said many times, there were studies before this, but there is no consideration (by the government). I’m shocked at the article, which was published before obtaining clarification from the ministry,” he said. The report by the Chinese daily had quoted Malaysia Automotive, Robotics & IoT Institute (MARii) CEO Datuk Madani Sahari as saying that old vehicles will be required to go through an inspection before being allowed to renew their respective road tax and car insurance, suggesting that the ELV was about to be introduced. When it was first announced at the end of 2009, the ELV proposal included mandatory annual inspections as a requirement for road tax renewal for vehicles aged 15 years and older as a precursor towards the eventual implementation of a full ELV policy. The policy was soon dropped following public outcry, but has resurfaced in the past. Loke said that drivers are only required to go for a vehicle inspection under Puspakom if they fail to renew their road tax for more than 12 months. “That does not take into account the age of the vehicle. Road tax must be renewed every year. So, there’s no issue here.” he explained. He said that matters pertaining to the ELV policy can only be announced by the transport ministry, and that the implementation of such policies lies under the authority of the road transport department (JPJ). 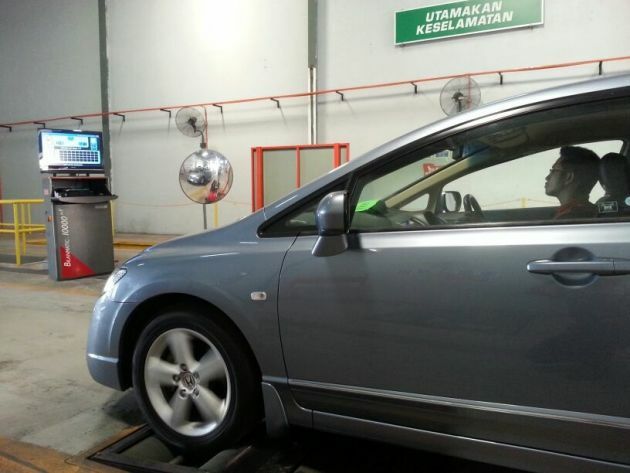 “Road tax renewals also fall under the JPJ, not other agencies. I hope the media will obtain clarification from the ministry before writing such reports, and there will be an explanation given to the public thats there are no (plans to introduce) the ELV policy for now,” he said, reassuring owners of old vehicles not to be worried. Vehicle End of Life (ELV) policy should be implemented to allow old car owners to scrap their old jalopies for brand new Proton cars. Enjoy RM30k discount off all Proton car prices. 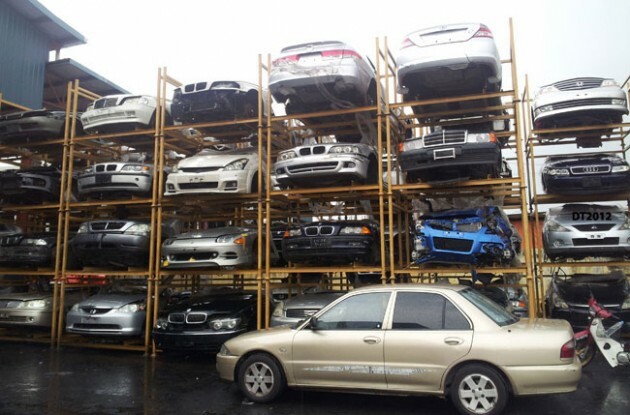 Vehicle End of Life (ELV) policy should be implemented to allow old car owners to scrap their old trustworthy jalopies for brand new Poodua national cars (some macai say Proton is under China Geely already). Enjoy RM300 discount of all Poodua car prices plus free 2 in 1 both after life and cremation package since car itself made from cola can where even if motorbike crash to the car also the car driver died plus no bloody temperature gauge which high risk of vehicle fire due to unnoticeable overheating (but we don’t care anyway as we are taught to ‘berkorban untuk negara’). Perodua is even worst than Proton. Everyone knows it is a rebadged Daihatsu engine and design make locally. We are paying a lot of royalties to this jap company providing unsafe , dinosaur technolgies and funny designs . There is no greatness in Perodua and people buy it because it is cheap not because it is good. Later nobody supports P3 and nobody wants to buy their cars, they UTurn and implement scrapping policy to force the people in buying P3 cars. Ekceli my 25year old Toyota Corolla SEG running way smoother and reliable then some local cars esp those proton ones. So why scrap..
Yea. At least you dont become bank’s slave and tied with loan repayments. I will support VEOL policy IF Gov should allow claim back our excise duty for our next car purchase(1:1 contra basis)! if the govt is serious about an ELV programme.. they must also draw up regulations for “classic cars” that is both fair and realistic. Owners of classic cars generally maintain their cars better than most people with new cars. They are also a huge investment and support local automotive industries who specialise in them. On top of that.. these owners are also preserving automotive history and heritage. Even in Singapore, you can still maintain your classic car and there is no “forced” scrapping policy. How many times this group has said No but in the end doing it? That should cover all past, present & future Perodua cars. It is Madani saying things. Looking for limelight again as always. Find a relevance dude. Before they even think about scrapping private cars, they should enforce scrapping of old commercial vehicles. Like, lorries, busses, taxis….. these are by far the most pollutant, dangerous vehicles that ply our roads on a daily basis. Just leave the old kampung uncle’s 25 year old tried and trusted steed alone which he puts on like 5000km per year. Its not like the above mentioned old uncle has the means to buy a new car. This Madani is nothing but a bag of hot air and vacuum for a brain. Salute to the Minister of Transport over the stupid nonsense Madini. Better tell Madini to stay in Europe or USA where new vehicles are cheap and income is high. This stupid Madini can then be employed as chief coordinator for the ELV there and hopefully he has the university degree of a reputable university to be able to lead the team there to fulfill his wishes but certainly not Malaysia for now. My take is to ask JPJ to camp at all the uphill sections of North South Highway and remove those really polluting lorries off the road right away. Some really put out so much smoke till motorist cant even see the road in front because of the amount of black smoke. Locations such as Menora Tunnel area, Gua Tempurung, NKVE Sg Buloh area must be monitored 24/7. Too many not worthy commercial vehicle on the road which is passed by Puspakom.